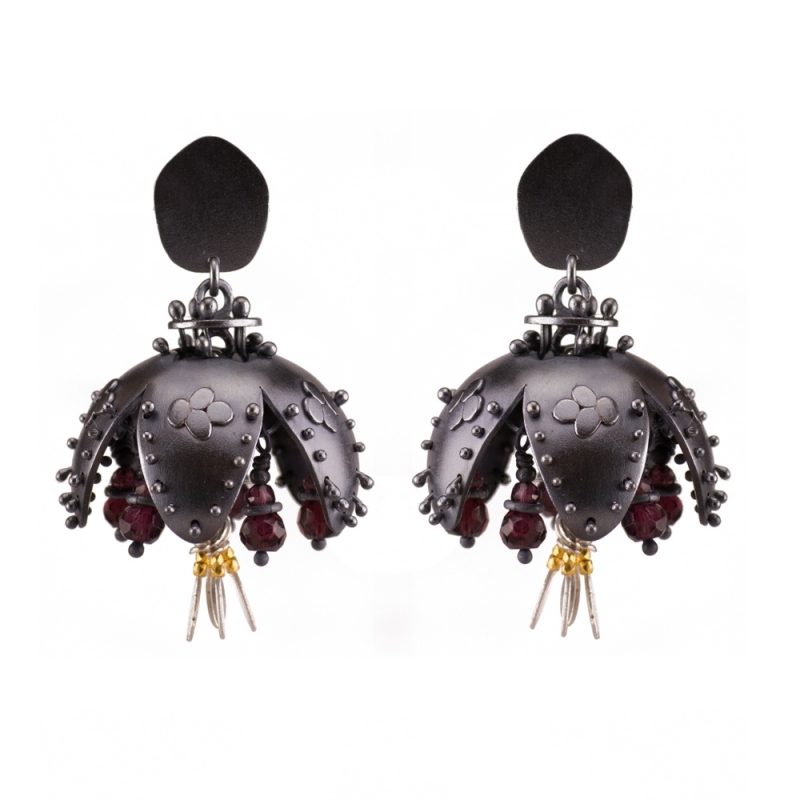 These handmade earrings are part of a one-off collection of work exploring the life cycle of the plant world, and were exhibited by Gemma in the “4 by 5” exhibition in 2017. These earrings represent the flourish of summer. 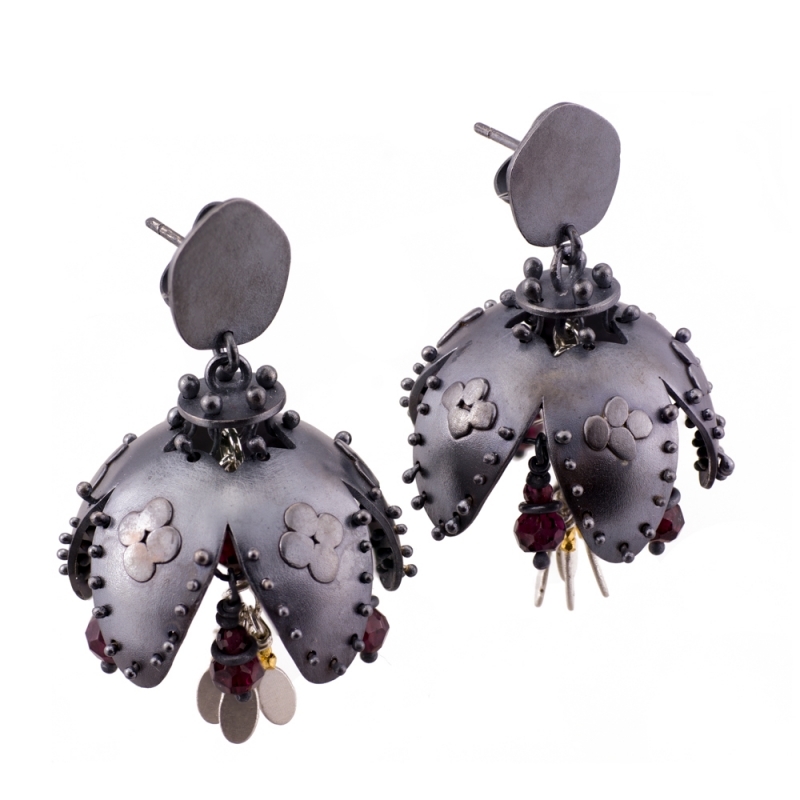 Each earring features a hand forged, flower shaped dome decorated with flattened granules and tiny melted studs which line the edges of the petals. Drops of garnet beads hang between each petal and a bundle of handmade silver drops hang from the centre which have been accented with bright 24ct gold plated silver beads. The earrings have a dark oxidised finish and stud earwires.